My name is Kylie and I have been babysitting throughout my life, taking care of children ranging from babies to teens. I love crafting and playing games with kids to keep them entertained or just keeping little ones company to keep them happy and safe! I am sure that I will be able to help with whatever you need! 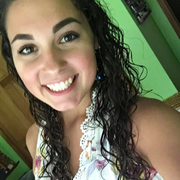 I am a college student, majoring in elementary education, so I love kids and I have experience working in an elementary school as well which has allowed me to gain the skills to work with children. I am home for the summer until late August and would love a child care job along with my other part time job, which consists of primarily nighttime shifts, while I'm home! Please contact me if you have any questions or if you would like to meet up to get to know me!